2007 was the year I was introduced to Emily King and her debut, East Side Story. I loved every fiber of it, and was pleased to see that it was nominated for a Best Contemporary R&B Grammy award. Though she didn't score the gilded gramophone (it went to Ne-Yo -_-), Miss King had won a fan out of me, and I kept vigil for whatever was around the corner for this promising new singer and songwriter. That's usually how it is when we get excited about a new artist, we want them to put out all the things, perform on all the shows, and make the charts a happy home with their singles, but for the most part, reality doesn't work quite like daydreams do. For King, she became a victim of the classic industry storyline where she --- the creative, talented artist --- had to combat with the wheelin' and dealin' big-time record label whose expectations intruded upon her artistic vision causing a pause for a proper follow-up. For fans, due to the pause, we were treated to long stretches of silence and began to harbor qualms, wondering if our new fave would ever return. Though the clock ticked away, King filled the quiet and spoke again when in 2011, The Seven EP popped up (yay! ), but still more sporadic offerings of singles were released. The NYC-bred singer wisely kept her name out there in the performing circuit, playing small venues year after year and singing alongside such contemporaries as Maroon 5 and Sara Bareilles, but fans knew what she could do with an album, and patience for a new full-length was wearing thin. Now almost a decade later (thankfully) everyone is back on the same page, as all the wait, the in-between, and uncertainty has allowed us the conversation piece of The Switch to have it's say. Oh, and it's a beautiful conversation to lend ear too. I will probably overuse the word "beautiful" in this review, but it's the proper adjective to describe this project. The years since East Side Story have clearly refined King's sound to delicacy, a sumptuous soul sound that had been present since day one, but now fully cultured and prismatic with the eroding of age. Also with a release on her own label, Making Music Records, King doesn't have the pressure of a major record company breathing down her back, stifling the creative forces that be. She described the craft of the album as if she was assembling her debut all over again, telling the Wall Street Journal: "It definitely feels like a reintroduction. Kind of like I can finally go outside and play after staying indoors for so long." And, play King does. With producer Jeremy Most as wingman, King, plays around with lyrics, arrangements, and themes, crafting an album that feels 'now', but still roots itself into the past, sort of as if you're entering your childhood bedroom after being away from it for years. There is familiarity and comfort there but you're seeing things differently, it's all brand-new territory now. "Good Friend" is the warm re-introduction, shaking hands with King's past debut single, "Walk In My Shoes", but a woven growl of an electric guitar notes that King isn't content to paint-by-the-numbers when it comes to soulful call and response. Also fun and familiar is "The Animals", a frisky funk number that cautions against feeding "big bad wolf" lovers, and it rolls nicely into a thicket of guitar and synth foliage as the song reaches its climax. There are obvious flourishes of Prince's 1980s hey-day in not just King's light and airy diction, where she goes from sass to sweet in mere blinks, but also in its peerless arrangements. Though not as technical or subversive as Ye Olde Purple One, but his influence is there on, strikingly so on "Believer" as it bubbles with rubbery bass and finger-snapping accessibility, as do the light bumps of funk on the title track, and personal favorite, "Sleepwalker" which also sweetly frolic around Paisley Park. While Prince is present in vibe, The Switch still retains King's signature to weave her plush acoustic bed with swathes of soulful charm and abrupt interruptions of orchestral backdrops. Beautiful (see I told you...) and detailed in its arrangements, The Switch also leads King's sound into a ballroom of baroque classical stylings. Her heartfelt ode to long distance relationships, "Distance" finds a home here, waltzing sweet and soulful, gliding seamless into "Out Of The Clouds" as it dips and twirls among thunder claps of electric guitars and pings of music box pianos and strings. "Off Center" is the grandest example of a sonic colliding between King's signature technique of acoustic laced soul and her new nest in the symphonic, as it ebbs and flows from acoustic pensiveness into a building flourish of squealing guitars and '80s synths. What strikes at first listen is the completeness of this album. Not a note or a vocal chord is wasted, as each song is gorgeously constructed and executed, and King, ever so confident, culls together an even better album than it's predecessor. 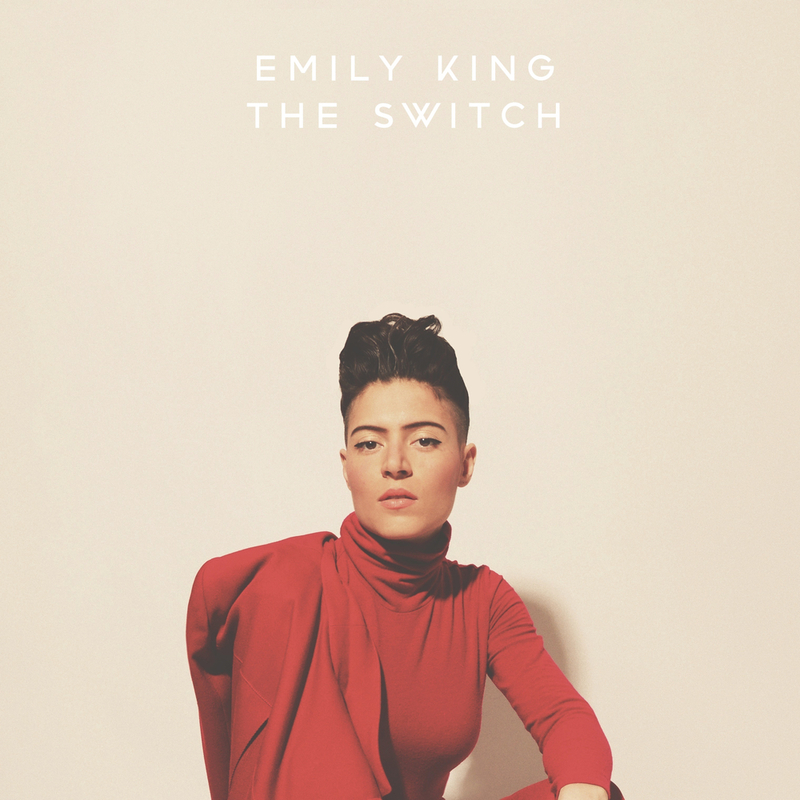 It's cliche, but some things do get better with time, and Emily King's The Switch, is proof of how sometimes if we allow it breathing room we're always in for a beautiful (there I go again...) surprise worth waiting for. The Switch is available for download via iTunes, as well as available to stream via Spotify.